Did you hear the news? It's twins, and the Loving Family�s mommy and daddy will have twice the fun now! Thanks to special action features, mommy can rock one baby while daddy picks the other one up! 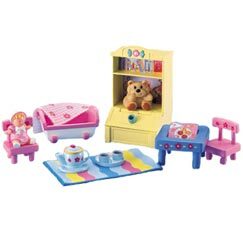 In addition to the family of four, this delightfully realistic dollhouse has dozens of charming built-ins plus all the accessories it takes to care for twins: two cribs with spinning mobiles, two soft blankets, a changing table and a swing for two. With couch, table and lamp, too. This delightful house combines traditional doll house play and the dream of owning your very own pony! With seven rooms plus an attached stable, there�s plenty of space for the family of four and their new pony. Realistic details and accessories include built-in kitchen appliances, a stairway that flips up to reach all floors, a couch, table, lamp, baby swing and carrier. 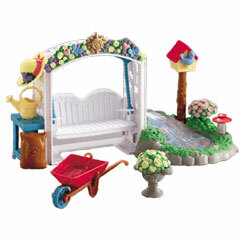 The stable features a trough, fence and brush for the pony�s mane and tail. 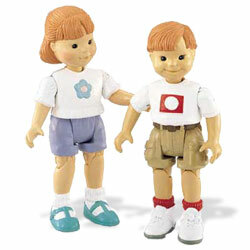 Family figures are specially jointed for active play, and the horse whinnies every time mom, dad or little girl are near! Folds for storage. Everything fits inside! Requires 3 button-cell batteries, (not included). The dad can pick baby up for soothing or playing, all you have to do is give his knees a squeeze! 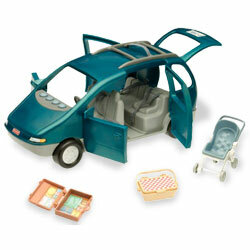 Dad and baby will be right at home in the Loving Family Doll House. Figures available in sets of two, as shown. 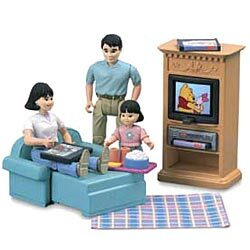 The Loving Family figures and accessories fit with both the Loving Family Doll House and the Fisher-Price Grand Doll House. English riders wear a riding habit, like a standard �uniform.� It includes a close-fitting jacket or vest, light-colored jodhpur pants, a velvet covered hunt cap/helmet, and fitted boots. Anne is �dressed� in full habit, with a removable riding coat! She�s one of the Loving Family� English Style Riders, but she can ride any of the horses in the Loving Family� Jumping & Western horse collections. 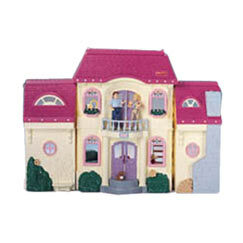 Though especially at home in the Loving Family� Home & Stable�, she�s sized just right for any Loving Family� doll house! 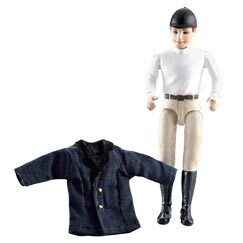 English riders wear a riding habit, like a standard �uniform.� It includes a close-fitting jacket or vest, light-colored jodhpur pants, a velvet covered hunt cap/helmet, and fitted boots. 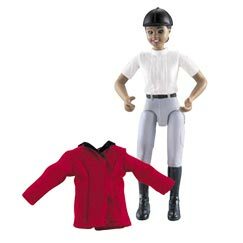 Michael is �dressed� in full habit, with a removable riding coat! He�s one of the Loving Family� English Style Riders, but he can ride any of the horses in the Loving Family� Jumping & Western horse collections. 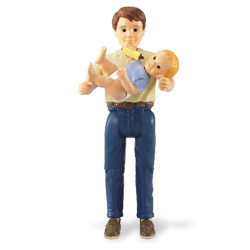 Though especially at home in the Loving Family� Home & Stable�, he�s sized just right for use in any Loving Family� doll house! 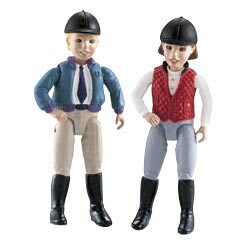 English riders wear a riding habit, like a standard �uniform.� It includes a close-fitting jacket or vest, light-colored jodhpur pants, a velvet covered hunt cap/helmet, and fitted boots. 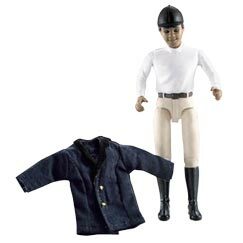 Steve is �dressed� in full habit, with a removable riding coat! English riders wear a riding habit, like a standard �uniform.� It includes a close-fitting jacket or vest, light-colored jodhpur pants, a velvet covered hunt cap/helmet, and fitted boots. 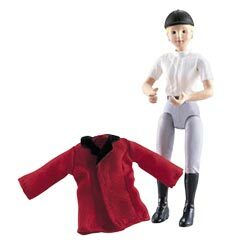 Vicki is �dressed� in full habit, with a removable riding coat! 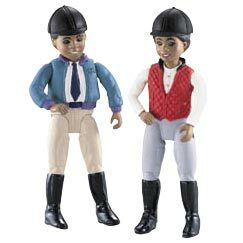 English riders wear a riding habit, like a standard �uniform.� It includes a close-fitting jacket or vest, light-colored jodhpur pants, a velvet covered hunt cap/helmet, and fitted boots. Chelsea & Andy are already �dressed� in full habit and ready for a horse show! They�re two of the Loving Family� English Style Riders, but they can ride any of the horses in the Loving Family� Jumping & Western horse collections. 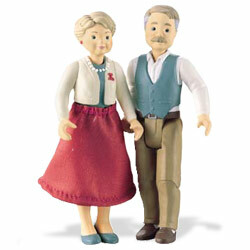 Though especially at home in the Loving Family� Home & Stable�, they�re sized just right for use in any Loving Family� doll house! English riders wear a riding habit, like a standard �uniform.� It includes a close-fitting jacket or vest, light-colored jodhpur pants, a velvet covered hunt cap/helmet, and fitted boots. Haley & Jacob are already �dressed� in full habit and ready for a horse show! Western-style riding was developed for comfort, especially for long days spent riding the range. 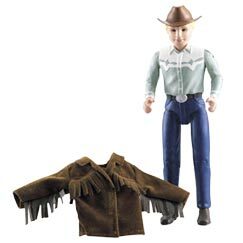 Jack is ready to saddle up for a day on the trail, �dressed� in traditional Western-style clothes and a removable coat! He�s one of the Loving Family� Western Style Riders, but he can ride any of the horses in the Loving Family� Western & Jumping horse collections. 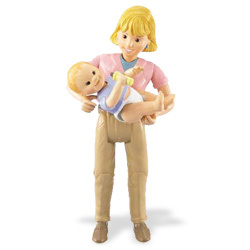 Though especially at home in the Loving Family� Home & Stable, he�s sized just right for use in any Loving Family� doll house! Western-style riding was developed for comfort, especially for long days spent riding the range. 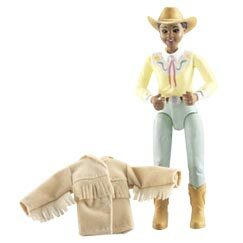 Kathy is ready to saddle up for a day on the trail, �dressed� in traditional Western-style clothes and a removable coat! She�s one of the Loving Family� Western Style Riders, but she can ride any of the horses in the Loving Family� Western & Jumping horse collections. Though especially at home in the Loving Family� Home & Stable, she�s sized just right for use in any Loving Family� doll house! Western-style riding was developed for comfort, especially for long days spent riding the range. 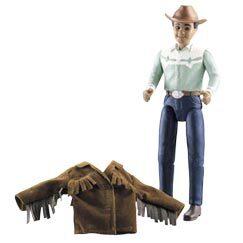 Matt is ready to saddle up for a day on the trail, �dressed� in traditional Western-style clothes and a removable coat! Western-style riding was developed for comfort, especially for long days spent riding the range. 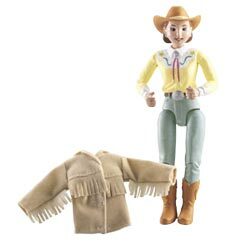 Sarah is ready to saddle up for a day on the trail, �dressed� in traditional Western-style clothes and a removable coat! It�s so much fun to ride together! Aimee & Nicholas are already �dressed� in traditional Western-style clothes and are ready to saddle up for a day on the trail! 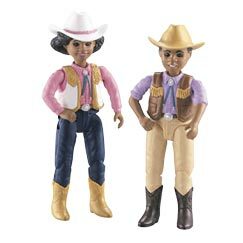 They�re two of the Loving Family� Western Style Riders, but they can ride any of the horses in the Loving Family� Western & Jumping horse collections. 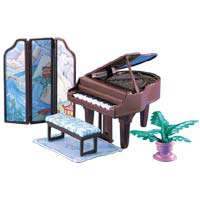 Though especially at home in the Loving Family� Home & Stable, they�re sized just right for use in any Loving Family� doll house! It�s so much fun to ride together! 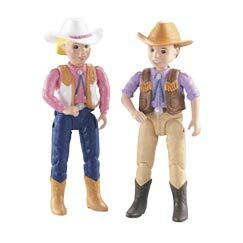 Madison & Cody are already �dressed� in traditional Western-style clothes and are ready to saddle up for a day on the trail! 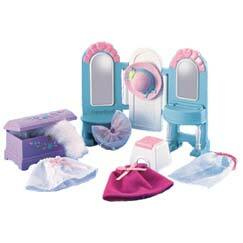 Sugar loves to show off her jumping leg action and with each �jump� makes realistic horse sounds! Jumping seems to come naturally to Sugar because a jump is really an extra-big canter stride for a horse. 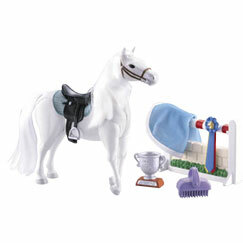 She has a removable saddle and comes with a grooming brush for her silky mane and tail, a soft blanket embroidered with her name, a jumping fence, and a trophy and award ribbon. Includes 3 button-cell batteries. Honey can�t wait �til the next big event! 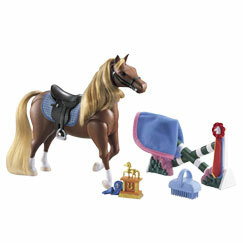 She loves to show off her jumping leg action and with each �jump� makes realistic horse sounds! 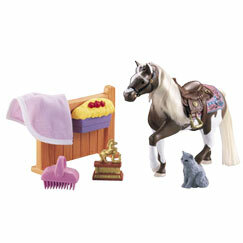 She has a removable saddle, and comes with a grooming brush for her silky mane and tail, a soft blanket embroidered with her name, a jumping fence, and a trophy and award ribbon. Includes 3 button-cell batteries. She may be smaller than a horse, but this dappled pony jumps hurdles and fences like a true champion! Lily Gray loves to show off her jumping leg action and with each �jump� makes realistic horse sounds! 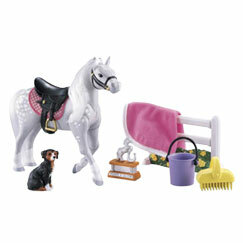 She has a removable saddle and comes with a grooming brush for her silky mane and tail, a soft blanket embroidered with her name, a jumping fence, a trophy, a pail and a puppy. Includes 3 button-cell batteries. Dusty is a pinto pony who loves to ride the trail! Press her head and she paws the ground and makes realistic horse sounds�that�s how you know she�s ready to go. After a workout of trotting, cantering and galloping, Dusty heads back to the stable for a good brushing and a treat (her favorites are apples or pony nuts). 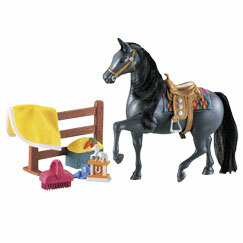 She has a removable saddle and comes with a grooming brush for her silky mane and tail, a soft blanket embroidered with her name, a fence with attached feed trough, a pony club trophy and a kitty. Includes 3 button-cell batteries. Coco doesn�t mind being saddled up because she knows that means it�s time to go for a trot, or maybe even galloping around! Press her head and she paws the ground and makes realistic horse sounds�that�s how you know she�s ready to go. 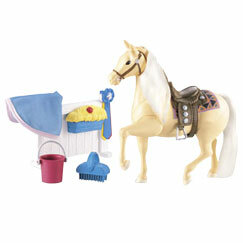 She has a removable saddle and comes with a grooming brush for her silky mane and tail, a soft blanket embroidered with her name, a fence with attached feed trough, a pail and an award ribbon. Includes 3 button-cell batteries. Palomino horses like Whisper are known for their golden coats with a white mane and tail. Whisper stays shiny and healthy with lots of exercise and a good brushing each day! Press her head and she paws the ground and makes realistic horse sounds�that�s how you know she�s ready to hit the trail!